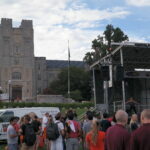 To kickoff each fall semester, Virginia Tech hosts an event called Gobblerfest to welcome the incoming freshman class and encourage them to learn about various clubs and extracurricular activities available to students. 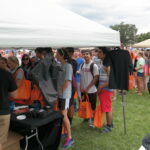 At Gobblerfest, clubs and organizations setup booths and hand out information about why students should join their respective club. 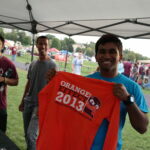 The diversity of clubs at Virginia Tech is phenomenal. There is really a club or team for every type of student. 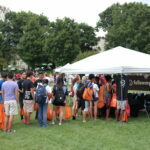 Whether they are interested in scuba diving, Greek life, or entrepreneurship, a student can find his or her niche to make the most of their college experience. 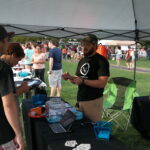 Gobblerfest is also an opportunity for local businesses to advertise, in hopes that students will use their products or services throughout their college career. Property management firms hand out information on apartments, while local restaurants sell food. 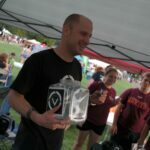 Gobblerfest would not operate at the same caliber without these businesses sponsoring the event. 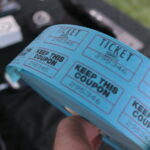 Follow My Vote has been a sponsor of Gobblerfest 2013 and Gobblerfest 2014, having great success both years! 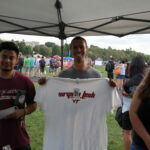 This September, while promoting at Gobblerfest, our aim was to inform students about our newest software development project, an online open-source voting platform, in order to create some buzz for it’s upcoming release. We anticipated that students would be interested in learning more about our online voting solution that provides complete transparency and security. 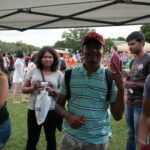 Thus, it came as no surprise that we drew a crowd of intrigued students chomping at the bit to discover what Follow My Vote was all about, starting from the moment the event began! This gave us a chance to explain some of the cool technologies behind the voting software like blockchain technology and cryptography. 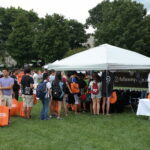 When informing students of our plans to develop an online voting platform, we gave away Follow My Vote schwag in exchange for signing up to test out the beta version of the app as soon as it’s ready to go. 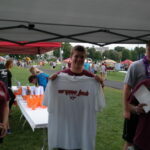 At the end of the event, we even held a raffle where several students won Hokie t-shirts and hats. Overall the event was a great success, as we had many students reinforce the need and applaud our determination for striving to improve democratic elections here in the U.S. and throughout the world! Educating Students On What We Are All About! Look At The Interested Students! 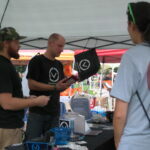 Getting Students Signed Up For The Voting Software Beta.